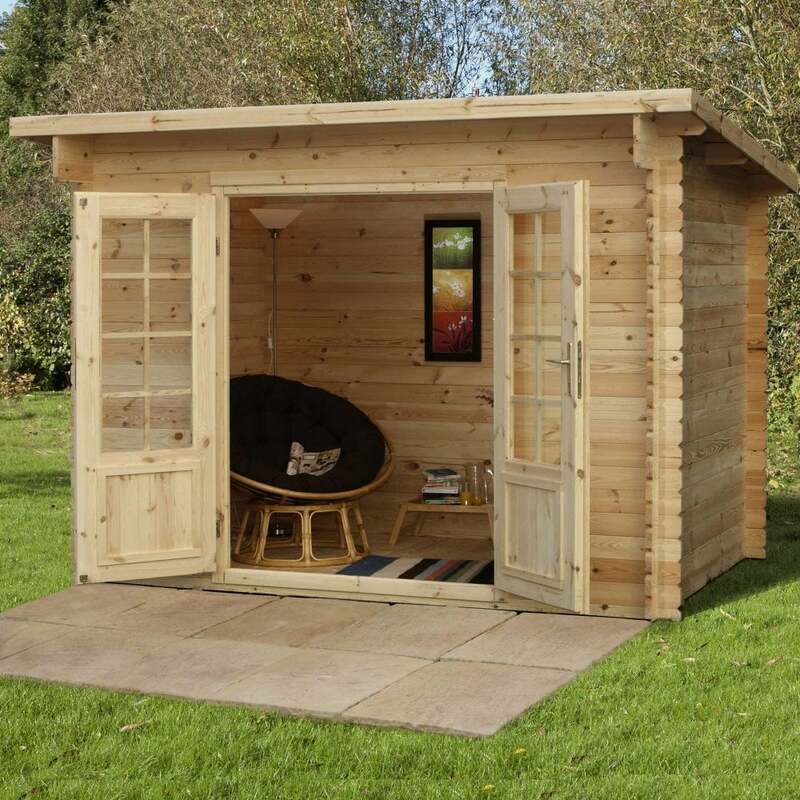 Forest Garden Harwood Log Cabin 3.0m x 2.0m: The Harwood Log Cabin by Forest Garden is the perfect size for creating a little haven for relaxing in your garden. The 3.0m x 2.0m Log Cabin is manufactured using 28mm machined logs and 19mm tongue and groove roof and floor boards to give the building additional stability and strength. The Forest Garden Cabin includes single glazed, double doors to provide ample natural light and ventilation to flood the interior and also includes a mortise locking system to keep the building secure when not in use. The Harwood Log Cabin is a compact design with a pent roof for a modern look and is finished with a roof felt.